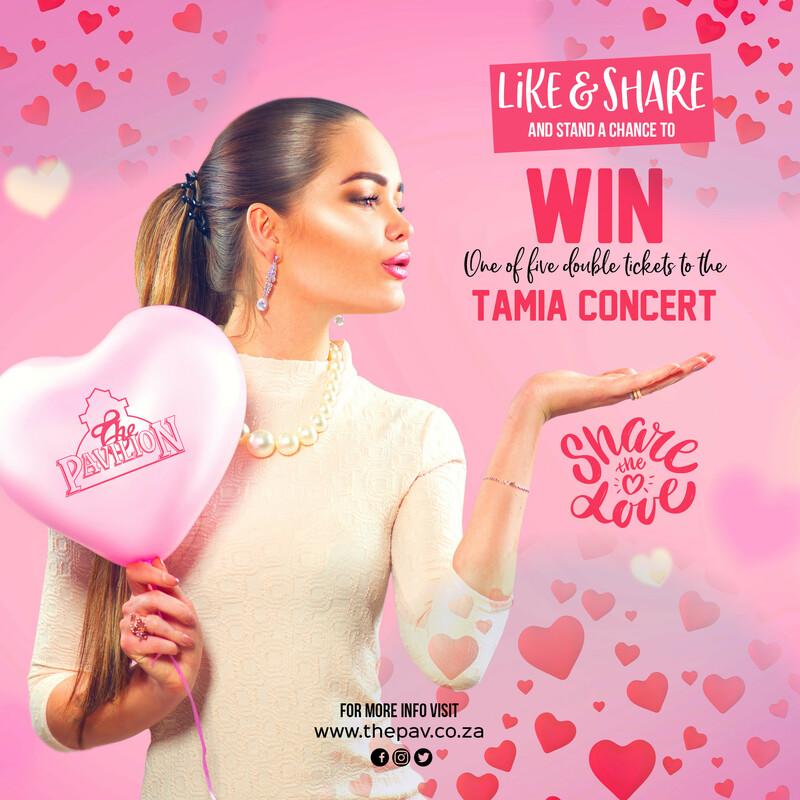 Share the love with us this month for a chance to win one of five sets of double tickets for you and your partner to see Tamia live in South Africa with Lady Zamar. The concert takes place at The Botanical Gardens on the 24th of February at 2pm. 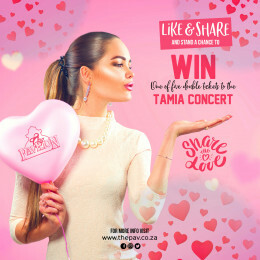 All you need to do Is like and share this post using the hashtag #ShareTheLoveAtPav . Winner will be announced 22 February.